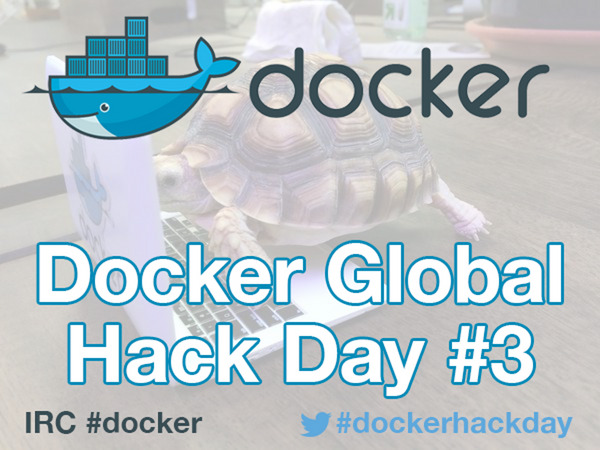 Join us for the next Docker Global Hack Day from Wednesday, September 16th through Monday, September 21st! We are keen to host a Docker Global Hack Day #3 local version. The plan is to come together on Thursday evening at itnig where we'll form teams of 1-3 persons each, watch the Docker hackathon videos and start working on the projects. On the Saturday it would be great to do a whole day hack - with a venue to be decided. Of course, there are Docker T-Shirts for the participants of the Hackday event! So go ahead and Submit Your Hack Ideas!